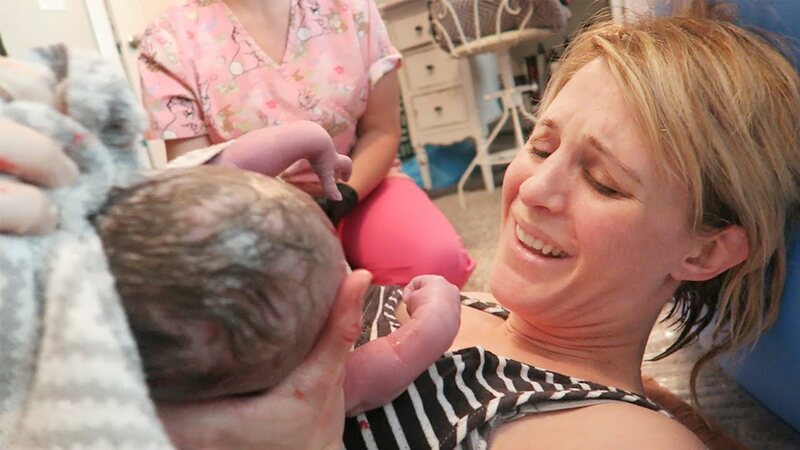 Giving birth is an exciting and terrifying time. Sometimes the labor and delivery takes what feels like a million years to be over, and other times its over before the new mom has a chance to fully register that it even started. My second birth was definitely in the latter category. Leading up to it, my doctor told me every time I saw her that she didn’t want me to spend time laboring at home. She suspected that this child was going to come quickly, so she wanted me to give the on-call doctor a heads up and then drive to the hospital. This was pretty much the opposite of what expectant parents learn in prenatal classes, where they urge moms to labor at home for as long as possible before she goes in. It was a good thing I listened to her advice, because she was right. My labor was so fast that my new baby beat the doctor into the delivery room even though I did call them ahead of time to let them know I was coming. 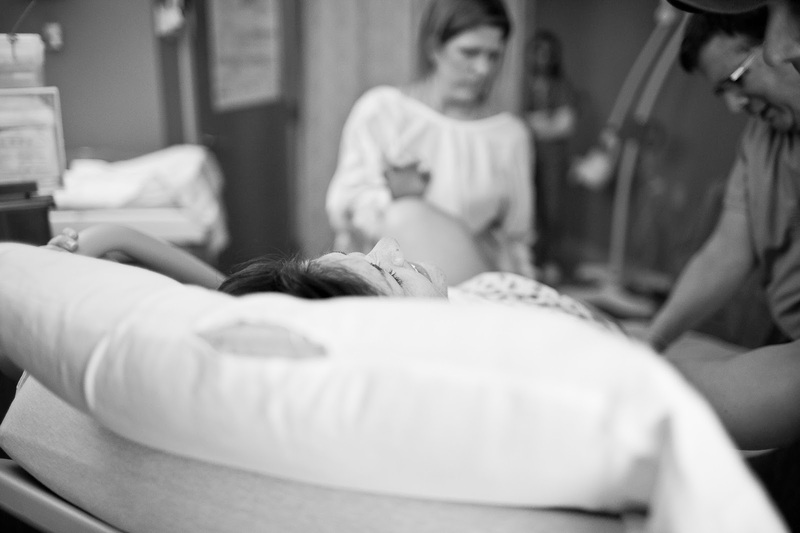 For moms like me, whose doctor or midwife is warning them that their labor and delivery might be a fast one, or they’re simply worried that it will be fast, here are 15 different ways for these moms to recognize a fast labor. If this isn’t your first pregnancy, you will have some idea about whether or not your labor is going to be fast or slow. If your first labor was fast (even if it didn’t meet the definition of being precipitous, which is under three hours), you should prepare yourself that your second one will be a fast one as well. Later deliveries are generally faster than the first one because your body has been through this all before. So your cervix will dilate or open, and thin out or efface more quickly than it did the first time. On top of having a faster first stage of labor because your cervix has been through this at least once before, the second stage of labor, or the pushing stage, will be faster because your cervix and vaginal tissues already know what it’s like to push a baby out, so they will give way to the baby's head more easily. 14 Mama Needs To Push, Like Now! With a rapid labor the urge to push will come really quickly. For some women it will happen after you just endured, or cursed your way through, a continuous row of contractions and you will be left wondering if you have the strength to finish this. For others it will literally happen out of nowhere. There are two forms of precipitous labor, the first is when it starts out in the first stage of labor with a lot of super intense contractions, and the second is when it starts in the second stage of labor. In case you’ve forgotten, the second stage of labor is also called the pushing stage. The belief is that these women were technically already in labor, but their contractions were so painless that they didn’t notice them. While not feeling your contractions might sound nice when you’re in the middle of them, the idea of feeling the intense need to push the baby out while you were making coffee, doesn’t. I know this one seems obvious. Of course the contractions come out of nowhere, doesn’t that happen with every labor including the ones that take more than 24 hours from start to finish? Well yes and no. With a longer labor the first stage is usually divided into two parts: early labor and active labor. Early labor is when your cervix slowly thins and opens. During this time contractions are generally more annoying than painful, people can still work around the house and carry on conversations. Then as time goes on the contractions become closer together and more painful, which is called active labor. With a rapid labor, you pretty much skip this phase and jump right into active labor. I’m pretty sure I just blurted out “What?” when my doctor told me that my cervix was nice and ripe. It was very weird to me to have my doctor talk about a part of my body like a fruit, but that is what medical professionals call it when your cervix is ready for labor. This means that your cervix has thinned out, is more anterior than normal, soft, and dilated. While a ripe cervix doesn’t mean that you are going to go into labor right now, it is something that needs to happen before the baby can come out. Having a ripe cervix can speed up the labor and delivery process, because your body doesn’t have to waste time doing it once your contractions have already started. Before I went into labor, I did a bunch of reading up on delivery, since it’s been a couple of years since I’ve done that and I wanted to make sure I knew what I was getting into (as if that’s actually possible). One thing I read was that you’re supposed to wait to go to the hospital until your contractions are 5 minutes apart and last about a minute each. With a rapid labor your contractions could start out that fast, like mine did, or they could start out even faster. For women whose contractions get serious right out of the gate, don't hesitate to call the hospital and advise them you'll be coming in. If you make it to the hospital, you'll have a doctor waiting for you, if not, you may give birth while trying to make it to the hospital. While people with longer labors might wait a day or two before their contractions speed up and become stronger and more painful, yours will pretty much start that way. As an aside, if you’re wondering what people mean when they say stronger and how to define how painful that it is, it means you can’t really talk through it. Yell and scream in agony? Sure. Carry on a polite conversation? No. So don’t be surprised if you get to the stage where your partner can’t do anything right immediately. Whether they are making a sandwich, applying counter-pressure to relieve pain, or driving the speed limit down a road, they are going to hear about it in increasing decibels and sobs as your pain skyrockets anyway. Or home if you were planning on having a home birth. Not all labors start in the middle of the night while you’re snuggled up and as comfortable as you can be at this stage of the game. It could start while you’re grocery shopping or having tea with a friend. You hear all the time about women who gave birth in the front seat of their car, in the bathroom somewhere, or in the back of an ambulance. While it’s possible that she didn’t know she was expecting or that she’s been laboring for hours and just didn’t leave in time to get somewhere safe, it’s also possible that their baby decided that now was the moment he was coming into the world, and he doesn’t care if his parents don’t have time to breathe and get their birth plan in action. Parking the car is a risky thing with rapid labors. It’s also, unfortunately pretty necessary to park your car in a valid spot and those spots are never near the entrance. However, if your partner leaves you to park the car be warned that they might not make it back in time to witness the birth. This was actually what scared me the most when I was told my labor and delivery were going to be short. I was terrified that my labor would start while my husband was at work on one of those overnight shifts where he would have to wait for someone to come and cover him. As luck would have it, he was off the day our boy decided to make his appearance, and that is the only reason he was able to be beside me during the delivery. If you’re planning on having a hospital birth with a doctor, chances are you intend for the doctor to be there to deliver your tiny bundle of joy. From personal experience I can assure you that this may not happen if you have a fast labor. My doctor made it to my room within eight minutes of receiving the call, and she still didn’t make it in time. This can also happen if you chose to give birth with a midwife. Once you call your midwife and tell her that your pretty sure your baby is coming, she still has to get to your house, the birthing center or the hospital, and if your labor if super short, she might not have time to make it. This is especially true if your baby decides to arrive during the morning rush or home time when the streets are completely congested. If your doctor or midwife does make it in time to catch the baby, they might not have had time to change into scrubs. Unless your delivery is a planned C-section or induction, you can’t really know for sure when your baby will arrive. Your doctor or midwife won’t know either so he might be on lunch, with another patient, or at a fancy family dinner. That last one is where my aunt’s doctor was when she arrived at the hospital. He actually managed to make it to the delivery room in time to catch the baby. But, since he definitely did not have time to change into something more suitable, he helped my aunt deliver her firstborn while wearing a suit. Oh the joys of being a maternity doctor. You know that thing they tell you to make in prenatal classes about whether or not you want an epidural or to have a certain music play list on in the background to make the room seem more serene? Yeah, you can forget about that. With a fast labor there won’t be time to get the iPod playing. Chances are you won’t actually be thinking about what was on it anyway. The only thing going through my mind during those three hours was how much pain I was in, and that the only form of pain relief available to me was laughing gas, or nitrous oxide, which makes me vomit. I assure you I was not thinking about anything else that happened to be on my birth plan, and it was a pretty basic list. Another way to tell that you’re in for a fast labor and delivery is that the medical staff won’t bother checking your vitals. When I got to the delivery room the nurses went through the motions of putting the blood pressure cuff around my arm, then they immediately abandoned that for more important tasks, like hooking me up to antibiotics, making sure my baby was all right, and calling the doctor. Then, once my son had arrived the nurse mentioned that she probably should put something on the chart, and since the band was on my arm anyway she pressed the button to check my blood pressure. Some women come to the hospital already in the third stage of labor and are crowning. In these cases, there's definitely no time to strap them to machines to monitor their progress, since things are happening so fast. When the time comes to push, chances are that your care provider is going to tell you to push with the next contraction (unless they’re really mean and tell you not to push at all). That isn’t going to mean a thing to you. There are a couple of reasons why. One reason is that your cervix is dilating really fast so the urge to push doesn’t sync up with your contractions. The reason is that you’re contractions feel like they’ve merged into one continuous stream of uncomfortableness. When you are in the middle of a rapid labor you might feel like your body isn’t your own anymore. That you’re subject to the whims of your hormones and the tiny human inside of you who has decided she wants to come out right now. Your body is contracting rapidly and painfully, the urge to push hits you before you’ve even fully registered that you’re in labor, and you just want it to stop. Or it might be more of a mental loss of control. You had a plan for this birth. It was supposed to be calm with relaxing scents and music wafting through the air. You didn’t get to follow it. The baby arrived before you had a chance to set the atmosphere, and even though you’re happy to be holding your child, you feel a sense of regret that it didn’t go your way. 1 Everyone Else Will Think The Fast Delivery Was "Lucky"
After a precipitous labor people will call you lucky. They’ll tell you it must have been nice that it was over so quickly, and how you’re lucky that you didn’t have to deal with contractions for days before you got to hold your newborn. You might even start to feel guilty that your labor was short and that you definitely do not consider yourself to be lucky. The best thing that happened to me right after I gave birth (besides holding my baby of course) was when one of the nurses took time to tell me it was okay to feel anxious and upset about having a fast labor. What people who have not experienced rapid labors don’t know or realize is that the pain of labor is intense and unrelenting, you don’t have any control over your body, and you might not even be sure if you’re going to make it somewhere safe before you deliver your baby, and that is scary.